For years John had been promising the ladies, Jan and Georgie to bring them on a road trip to Cunnamulla and Bourke where he spent quite a bit of time carting sheep between Cunnamulla Bourke and Victoria. 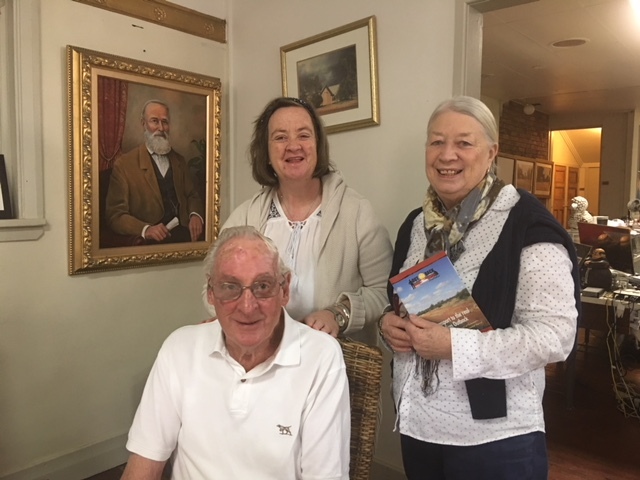 After almost 50 years John came good on his promise arriving in Cunnamulla on Saturday 25th May 2018 checking into their Cunnamulla accommodation at Club Boutique Hotel. 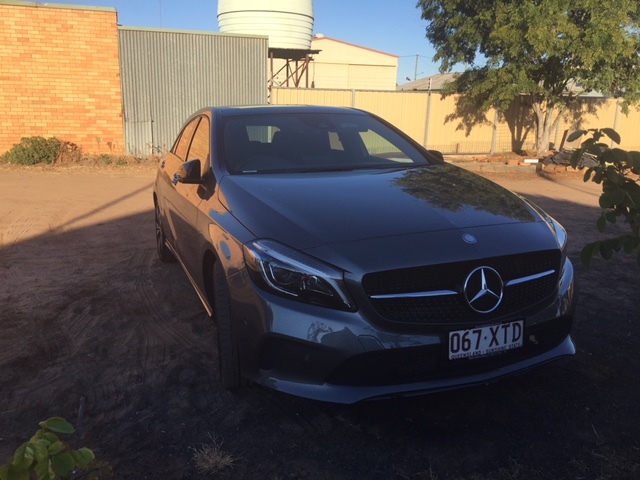 Jan was surprised about the amount of wildlife on the roads and was pleased that they had managed to arrive in Cunnamulla without hitting any in their beautiful Mercedes sedan that was not really made for outback travel but proved to be extremely comfortable. John said it was a bit quicker and smoother than in his trucking days. 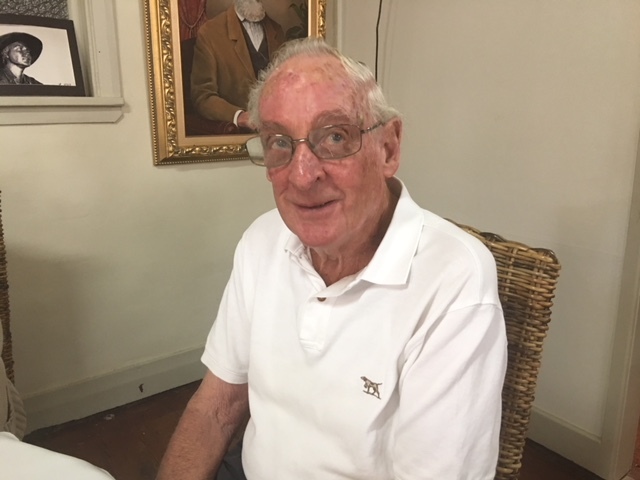 John, formally of John Hill Transport Horsham Pty Ltd was a regular visitor to Cunnamulla and Bourke in the 60’s trucking sheep back to Victoria mostly for Borthwicks meatworks and sometimes for adjustment at Horsham, Tollondo and Pimpino. Back in the 60’s there were two sheep sales each month in Cunnamulla and the A.D. Tannock & Co Saleyards on the western side of the Warrego River. The yards were overflowing with sheep and the area was renowned for breeding big bodied sheep that cut heavy weights in wool and bloodlines held by local producers were highly sought after. Buyers and agents would come from all over Australia back then for the sales and all ended in the pub at the bar sharing a beer and yarn no matter what company you worked for. Cunnamulla was a wealthy area back then with lots of opportunity for employment and strong demand for workers on properties and in the shearing sheds. Just thirty years later was a totally different story as the wool industry crashed in 1990 depleting the need for labour. Sheep and wool at that time became worthless, mechanisation and technology changed the demand for workers. 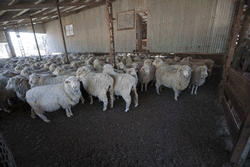 Today sheep and cattle can be bought and sold online via online auctions and the old A.D. Tannock & Co Saleyards are tired and empty. John’s company ran eight trucks all Commers single trailers with about four decks but in later years upgraded to Internationals. He remembers he got seven mile to the gallon but could not recall the cost of cartage as it was too long ago. It was always a two day drive and John fondly recalls that 6pm was always pub time. “You had to stop and head to the pub for a hard earned beer,” John said. The roads were good but in wet weather you were closed in and basically stuck where you stood until it dried out. He remembers once being stuck for a week or so but mostly it was a round trip. In Uncategorized Tagged 1960, AD Tannock & Co, AD Tannock saleyards, beer, Borthwicks, Bourke, Club Boutique Hotel, Commers Trucks, cunnamulla, cunnamulla accommodation, cunnamulla dining out, cunnamulla history, cunnamulla restaurant, Cunnamulla road trip, Cunnamulla things to do, cunnamulla whats on, Georgie Hill, Horsham, International Trucks, Jan Hill, John Hill, John Hillk Transport Pty Ltd, Pimpino, pub, saleyards, Sheep transport, Tollondo, warrego river, wildlife, wool crash 1990 Bookmark the permalink.